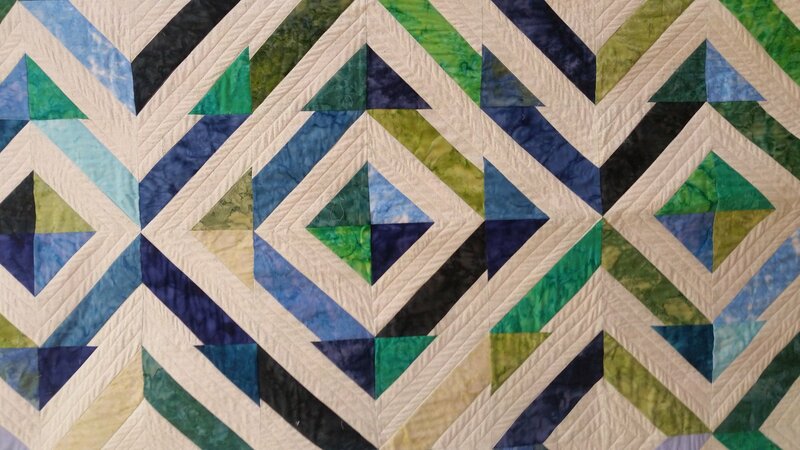 The Beginning Quilting 102 class takes you to another level from the 101 class. We will be making half square triangles (HST). There are tricks I have to help you get good results when constructing these. This project also places a square on a square, which is another technique that comes up often in quilting. The first session will be the construction of the blocks. The second session will be squaring up the blocks, layout of the blocks, and joining the blocks together.